Been a long time since I posted. Blogging took a backseat, but not tatting. Life will never be bland . Who can ever be bored ?! I still collect more more more. Thru’ troubles I will glide . How can Life ever be bland ?! Oooh yeah, my ecosystem has been tatified ! Renulek’s Snow Doily is a 9-row/round doily that has snowflake & star medallions/motifs to justify the Snow doily theme ! Part of the reason I chose to make this doily, even though I Really like her Honey Napkin, is because it combines many patterns that I have wanted to make – the side-ring ‘clovers’, the long ‘wheel spokes’, & the snowflake! So instead of tatting them separately, it’s nice to have them all in one project. Thread : Anchor Mercer Crochet Cotton size 40. ♥ FS/BS (RODS) tatting, ♥ 2 shuttles, ♥ Slope & Roll join, ♥ Long Picot, ♥ Graduated/decorative picots, ♥ Shoe Lace trick (SLT). v Arrangement of colours in Rnds 2 & 3 was inspired by Elfiona’s doily (post #125) . 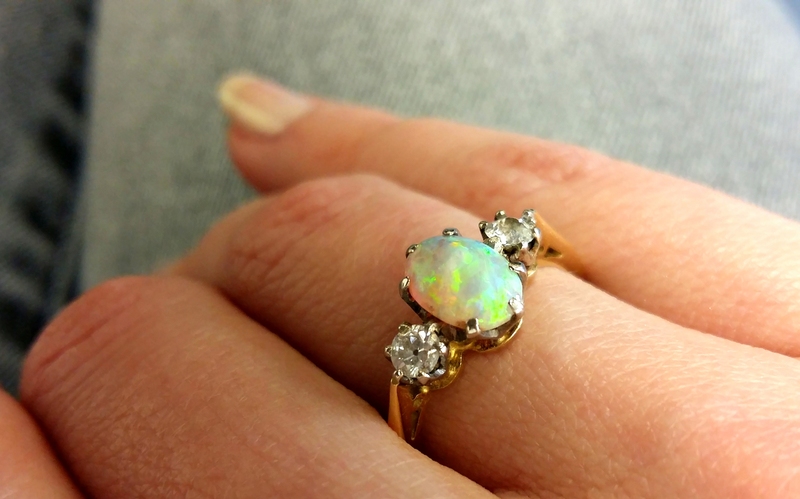 The tiny rings looked like little stars ! v I used Slope & Roll join for Rnds 2 & 3 to hide the colour blip. In size 40, it works fine ! v Graduated Picots for the rings in Rnds 2 & 3 are in keeping with the Mystery Doily. (not perfect without use of gauge, but “enjoyment even at the cost of precision” is tatting my excuse,… errrr… motto :-) ). v Rnd 4 required a Long picot in 1st of the 4 ring sets; and SLT (shoe lace trick) to switch colours. v Except for an initial hiccup when starting Rnd 4 (orientation-wise), it went very smoothly. At end of this round, the doily measures just under 8” (19.5 cms). TIP : It might be a good idea to start Rnd 4 with an outer ring. This will help when closing out the round in the end. 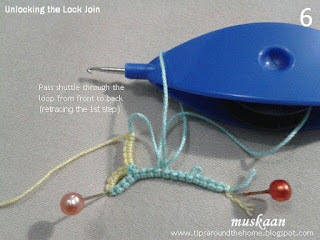 Lock Join in shuttle tatting, is both a boon and a bane . 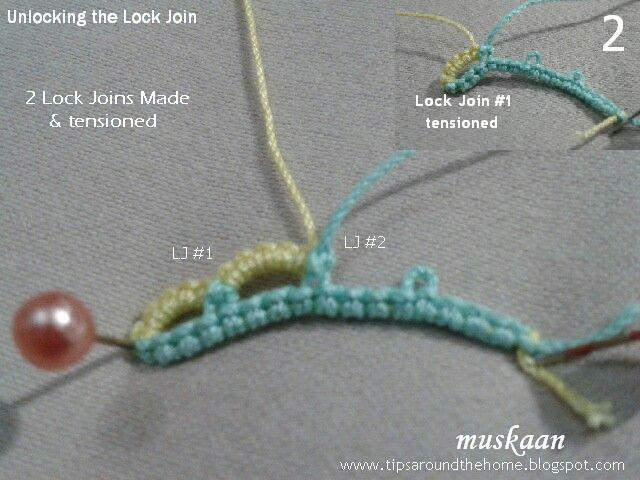 It is a secure join, made with the core thread shuttle. It stops the previous stitches from sliding over the core thread, thus holding them in check. 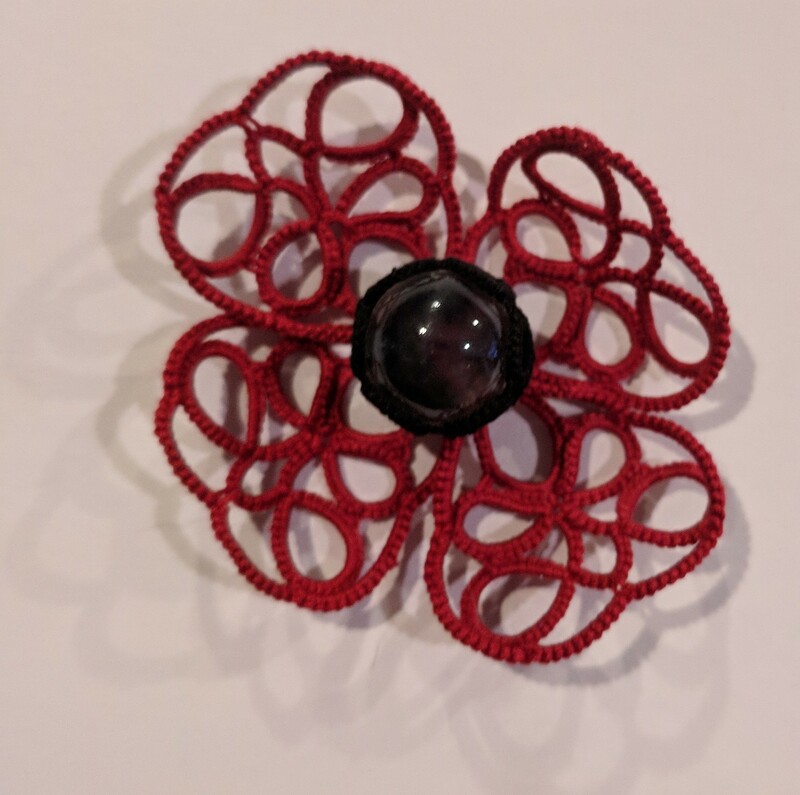 It is a go-to join when one needs to join to a picot that is below the working segment ; it can be done with 1 shuttle and in one smooth motion . It is so secure that once made, it becomes difficult to undo. Hence one always sees this statutory warning in Lock Join tutorials : snug the stitches properly ; make sure all are in the right place ; Then tighten the join knot because it is difficult to undo. Yes, that’s exactly what it is : a Knot ! Follows a pictorial with instructions on which strings to pull when & in which direction … I have broken it down into nano steps ; in practice, it can be quite a smooth movement – try it. I am posting this because I could not find any tutorial, tip, or instruction on how to undo the LJ. If such exists, please share. I am only sharing what works for me. In images, the blue-green is the shuttle/core thread, and yellow is ball/working thread, both in size 20. Using 2 colours in a pictorial/tutorial makes it easier to identify steps, sequence, etc. Henceforth, Lock Join will be referred to as LJ …. 1. 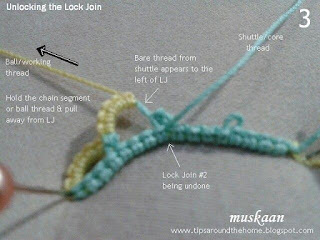 In order to make a LJ, one pulls a loop of the core thread Up through picot, then passes the shuttle through this loop, and tightens the knot securely in place. Keep in mind (for later comparison) the position & directional movement of shuttle & loop , because we will have to come back through this path to undo the LJ. 2. Two LJs made. As you can see, both are equally tensioned. But we are now going to undo the 2nd LJ. 3. 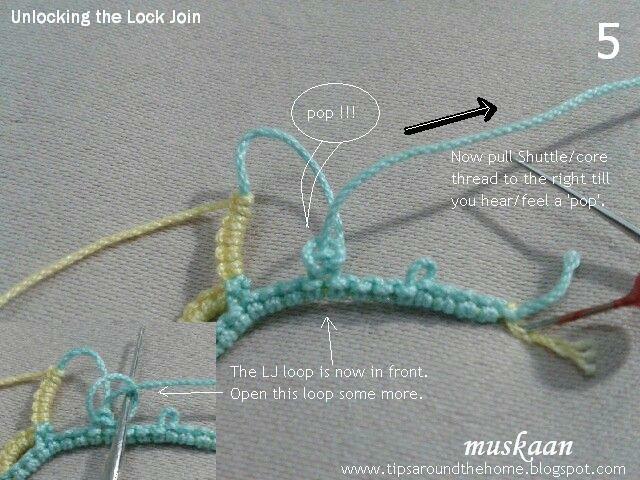 Hold the stitches on the left (yellow) in your pinch & give a slight tug. 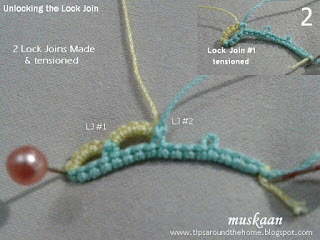 Immediately, a part of core thread appears on the left side of the picot ! 4. Gently, but persistently, keep pulling in same direction, away from the knot. The thread seems to unwrap itself gradually. The bare thread space starts to increase, and as seen in this extreme close-up, the knot has already loosened up a bit. But, if you look carefully, the loop that emerges is on the ‘wrong’ side from where we made it initially ! It is pulled back behind the picot, rather than in front of it. Compare with 1st pic. Voila! 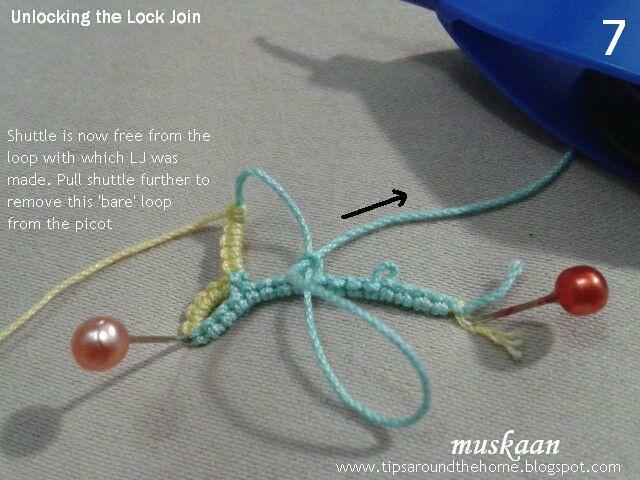 The loop has emerged through the picot ! You can see the loop in front of picot, with the shuttle thread neatly within. Compare with previous pic. 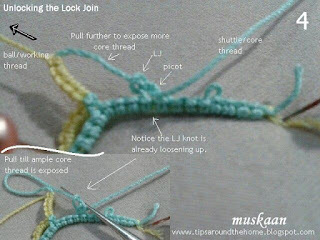 Pull this loop (shown in inset, with crochet hook within) open further either with your fingers or with a shuttle hook/tip. 6. Now that the loop is large enough, pass the core thread shuttle through it (front to back) to reverse/retrace the very first step. 7. See, the shuttle is now free from the LJ loop. There is only a bare loop left. 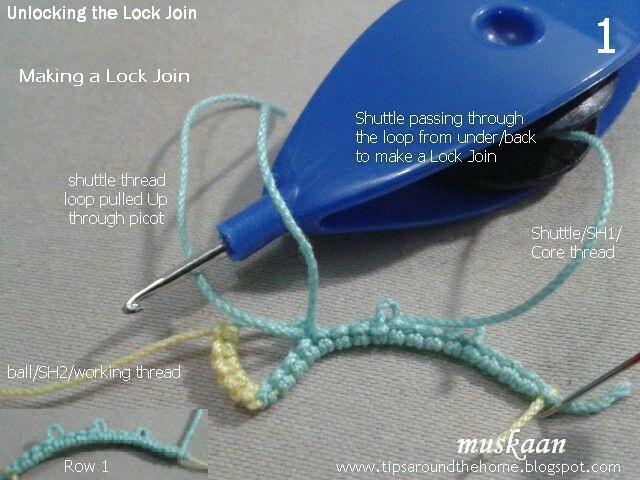 Pull shuttle further till even this loop is pulled away from the picot. 8. The Lock join has been unlocked !!! Pull chain segment towards left of LJ to open up a long bare thread space (of core thread). Pull shuttle thread towards right of LJ till it 'pops' to the front. Pull this loop out & pass shuttle through it to unravel the LJ. But I’d love to know whether it works for the finer threads too. Quick to make and in a contiguous motion. When making a LJ, avoid pulling on the ball/working shuttle thread. 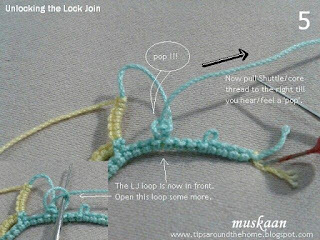 Once the LJ is made, continue with the next stitch. The reason becomes self-evident from the above pictorial! It causes a slight dip in the chain and this arc can be used beautifully. In 2-colour tatting, LJ leaves a tiny blip of colour. This can be avoided by a CWJ where core thread is enclosed/encapsulated within the join. LJ locks in the core thread. In CWJ, the core thread is free to slip along. LJ gives a slight dip in a chain edge. CWJ keeps the outer edge of chain contiguous, since a full ds is made. 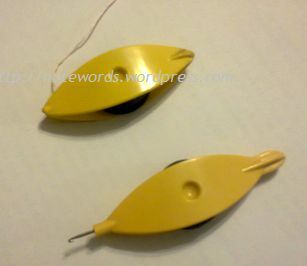 But CWJ needs 2 shuttles to work it, and it can also hamper the tatting rhythm, since it has to be made with Shuttle 2. Miranda has an Excellent comparative account of 3 joins (LJ, CWJ, Slope & Roll Join) along with actual tatting samplers. A must-read. There are many many more resources including videos.